Staff Recommendation: This is the story of the aftermath of a house fire and explosion which kills four people – Luke, Lolly, Will and Adam on the morning of a family wedding. June the mother of the bride (Lolly) disappears for nearly a year hiding away in a motel. Each chapter is told from a different character’s point of view so the reader gradually pieces together the events. It’s a book about families, small towns, knowing other people’s business and how secrets and lies have long running impacts on others’ lives. 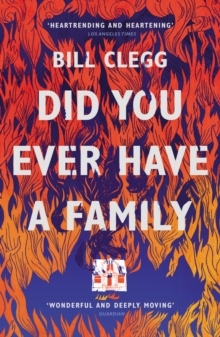 Clegg’s prose conveys the numbed grieving state of mind – its quietness fitting its subject of deep clear-eyed sadness. A lovely book.